by: Thomas WatsonIssues: March / April 2015. Tags: Leadership. Categories: Ivey Interviews. As an ambitious Iowa farm kid, Coeur Mining CEO Mitch Krebs always dreamed of running a company, imagining what it would be like to be surrounded by success like Donald Trump, instead of seemingly endless fields of bean and corn crops. That dream stayed with him after graduating university and landing a job on Wall Street, so Krebs set his sights on getting a Harvard MBA. In 2011, all the career planning and hard work paid off when the largest U.S.-based silver producer named Krebs as its new CEO. At the time, the company looked healthy. But within a week of being CEO, Krebs realized that good times in the commodity markets had hidden big problems at Coeur, which employs about 2,100 people and operates five precious metals mines in the Americas. In this Ivey Interview, Krebs talks about how to fight unexpected challenges as a new CEO, not to mention how to deal with the kind of late-night calls that make you scared of hearing your phone ring. IVEY BUSINESS JOURNAL: You joined Coeur Mining in 1995 after spending several years in the investment banking industry in New York. How did that happen? 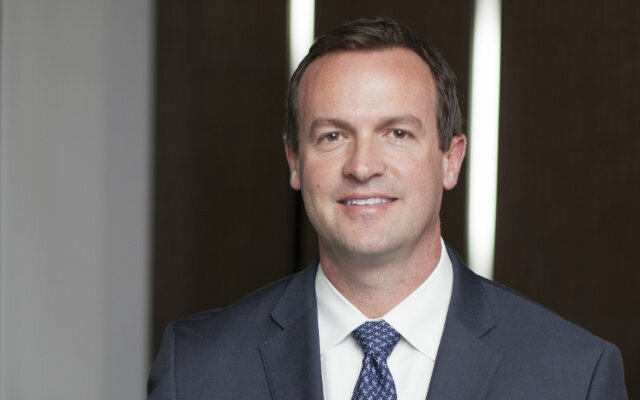 Mitch Krebs: I studied economics at the Wharton School of Business. After that, I started my career in the investment banking industry. Working in banking was a tremendous experience. I loved the work variety, but I always wanted to be working in a business. As a banker, I found it frustrating to move on to the next thing as soon as a financing or M&A transaction would close. I was curious to see how the deal just completed would actually play out. So for me, as a banker, things ended just when I thought they were getting the most interesting. Because of that, I started thinking about pursuing an MBA, and I thought adding some unique work experience to my years in banking would improve my chances of getting accepted into a good school. During my time in New York, I worked on a few assignments for Coeur, so I was familiar with the company. When an opportunity arose to join Coeur’s Corporate Development Department, I knew it would provide that unique experience I was seeking. I was right. My experience here continues to be unique. IBJ: And did you end up in a good MBA program? MK: I did my MBA at Harvard. IBJ: OK, so what was your end game? Did you always want to end up as a CEO? MK: As a farm kid growing up in western Iowa in the 1980s, I was fascinated with deal-making personalities like Donald Trump. I read books like The Art of the Deal. The business world was really romanticized for me. I wasn’t quite sure what I wanted, but I definitely had a desire to be involved in management or something entrepreneurial. IBJ: You were promoted to president and CEO after stints as company CFO and the SVP of Corporate Development. For people who don’t know the company history, can you just briefly explain the company history and challenges you faced before restructuring and moving the company? MK: Coeur Mining was formed in 1928 to mine silver in the Coeur d’Alene region of Idaho. Today, it is the largest U.S.-based primary silver producer and a signiﬁcant gold producer. The company, which employs approximately 2,100 people and is listed in New York under the CDE ticker, conducts exploration activities all around the world and operates five precious metals mines in the Americas. When I was named CEO in 2011, we were still based in Coeur d’Alene, Idaho. At that point in time, everything was going smoothly. Silver and gold prices were strong. Our focus was on enviable problems, such as what to do with all the free cash flow. But there was an underlying issue. The foundation of our business was not very strong. IBJ: Were you aware of the foundation issue when taking the CEO office? MK: It was sort of on my radar as CFO, but the problem really came home to roost for me after being promoted to the top management position. The business had grown pretty quickly between 2008 and 2010, but the organization had not evolved with it, so the company was in a position where it wasn’t able to manage growing operations very well. That was my top challenge. In some ways, it still is. IBJ: So when you became CEO, the market environment was in pretty good shape, but the structure of the company required attention due to inefficiencies and legacy issues that were exacerbated by growth, right? MK: Yes, that’s a good way to put it. IBJ: Can you tell us more about the structural challenges? MK: By nature, the organization was very informal and decentralized. Each of our operating locations was run independently without a lot of common systems and processes underpinning our operations. We lacked an overarching structure to help improve results and better manage risk inherent in the mining business. From these perspectives, our ability to manage and improve was fragile. IBJ: So you quickly started to see what had to be done to make the business sustainable over the long haul. What about distractions? Can you describe the most unexpected thing that you had to deal with during your first week as CEO? MK: Well, when I was head of finance, the company was pretty focused on the numbers. And on the Saturday afternoon of my first weekend as CEO, I received the kind of phone call that makes you wary when your phone rings. Without going into details, let’s just say that on my third day on the job I faced an unexpected operational issue at one of our foreign mines that had the potential to develop into a serious crisis. IBJ: OK, so what did your first week as CEO teach you? MK: I learned we needed to have more operational visibility so our corporate office could really understand all the challenges facing our business. We were so focused on next-month results and next-quarter results that we risked losing sight of some very important things, like relations with the communities in which we operate and the communication strategies required to help people understand the nature of the industry and our mines. On a larger scale, I learned that our overall lack of visibility into our actual operations on the ground around the world needed to be addressed for us to effectively plan for next year or the next five or 10 years. All this really hit me in the face during my first three days as CEO. IBJ: So would you say that the existing management structure only allowed you to deal with issues after they developed, instead of planning to mitigate challenges and strategically manage for the long term? IBJ: OK, so what did you set out to do after your experience the first week? MK: I decided size didn’t matter, at least not as much as efficiency, and set a goal for Coeur to become the best precious metals mining company in the world, not the biggest. Understanding that you don’t have to be the biggest to be the best required a big paradigm shift for the company culture. We operate in a world where there are a lot of bigger mining companies, and while we’re not the world’s largest gold-producing company by any stretch, we are one of the world’s largest silver-producing companies. Simply put, size mattered too much to us. We needed to stop focusing on how big we are and reset our goal to simply be the best. IBJ: Can you define what you mean by “best”? MK: A company focused on fundamentals that this industry may have forgotten. It means having a real focus on strategic planning and execution. It means really understanding your cost of capital and deploying your capital in a way that recognizes that those capital costs are real. And it means having discipline around how you grow to ensure you grow in strategic ways that allow you to grow free cash flow as well as the production profile. This sounds like common sense. But this is an industry that has historically focused more on that top line — how many ounces are produced — without really thinking through, or worrying about, how much free cash flow or what kind of return on invested capital is being generated. So we’ve taken a different approach by focusing more on earning an adequate rate of return and maximizing free cash flow. The production profile needs to support this. It is secondary to the generated cash. IBJ: So you saw an immediate need for both structural and cultural change. What about the other levels of management? Did they share your vision for more strategic thinking? MK: I would say there was acknowledgment of some of the weaknesses I saw. However, not everyone shared my sense of urgency. Keep in mind there were some people in the company who had been doing things the same way for a long time and routine is hard to break. So there was some resistance when it came to actually taking things apart to try a new way of doing things. Not everyone wanted to go down the path of wholesale change, which is, frankly, part of the reason why we ended up making extensive management changes, not to mention moving the company to Chicago. IBJ: How do you go about starting that process then? Do you bring in consultants? Do you look at your team, meet with everyone, and then decide who can stay and who has to go? What’s the first thing you do to start a massive change program? MK: We started with gaining Board support for making significant organizational and cultural changes. With a mandate in hand, I then leveraged our directors as a sounding board. Board member experience, along with director confidence in the direction I wanted to go, gave our change initiatives the tailwind needed to get off the ground. I then started making changes in areas key to achieving success, such as human resources and our in-house general counsel, where I saw a need for a different skill set. I brought in two very talented and dynamic individuals, who really bought into the idea of making over our old mining company. With an experienced attorney and an expert HR professional onboard, I had the catalyst I needed to help me think through how to best move forward on a day-to-day basis. IBJ: So you started with team building, which included importing some fresh management blood with passion? MK: Yes. It was initially a small trusted group, and then we jointly rolled out change on a much larger scale, including the move of our corporate offices. IBJ: When did the idea of moving the HQ come up? MK: The idea first came up during the search process for a new CEO. Other candidates for the position were external to the company and relocating the corporate office was high on their wish lists, but for personal reasons more than strategic ones. When I was appointed CEO, the question of whether or not moving made sense was put to me by the Board. At that time, I thought it might be a good idea, but not immediately. The logic behind moving was straightforward. I thought the management shakeup that would come with a move was necessary for the business to become successful over the long term. IBJ: How did the idea go over internally? MK: I knew it wouldn’t be well received. So we took many months laying the groundwork before rolling out plans to relocate to Chicago. Getting the new location right was a big part of the strategy. We thought really hard about Toronto. We also thought about Vancouver. But north of the border is such a crowded field for us. We wanted to leverage the fact that we are one of a limited number of U.S.-based precious metals companies. For the same reason, we didn’t want to relocate to a U.S. mining city. There was sound logic behind moving to Chicago. But given the dynamics in play, the move was still probably the hardest thing I’ve experienced in business to date. IBJ: What was the biggest unexpected challenge related to the move? MK: I expected challenges. But I was surprised by the amount of sleep I lost deliberating on how to best handle them. At certain points, it seemed like it was going to be just too difficult. There were a lot of very difficult conversations. Out of the roughly 65 people we have at our corporate office today, less than 15 per cent came from Idaho. Everybody else is new. Now, in hindsight, I wish I had just gone faster with the move because the change I’ve seen coming out on the other side of the tunnel has been really dramatic. The takeaway here, at least for me, is to never shy away from doing big or difficult things if you think they are the right thing to do. When you go big, there will always be unexpected twists, turns and bumps along the way. But if you start with the right people and the right plan, then doing the right thing works out most of the time. When I look at how much better and different this company has become, I can tell you from experience that going big with organizational change is really worth the effort. All the fresh blood that came into this company by moving it to Chicago gave it a new foundation not hindered by traditional industry thinking. If we had just moved everybody to a more traditional mining city, like Denver for example, where a lot of mining companies are headquartered, I think we would still have some of the same organizational challenges that we had, just in another location. IBJ: Would you say that the move allowed you to really focus on creating a new culture instead of changing an old one? MK: In a way, yes. The slate was so blank that we’ve been able to leap ahead and jump-start the change that I thought was needed. If we had done things differently, I think we would have been able to be successful enough to nibble our way at cultural change over a few years. But it is better to take one big bite at the apple. IBJ: What is the state of the company today? MK: The price environment for gold and silver is tough, but we can’t control that. And we are doing a good job managing what we can control. We’re running close to budget, which, to me, indicates we are now a company with a better ability to plan and a better ability to execute against that plan. Looking out over the next few years, we’re transitioning each of our operating assets in ways that will allow them to generate solid cash flow even at these lower prices. We’re executing on some solid planning around each of our mines. At year-end in 2014, we had approximately US$270 million in cash to facilitate these operational transitions and give us some liquidity and flexibility to withstand weak prices. IBJ: And the future outlook? MK: I think we have a very bright future. There’s a lot ahead of us, but we’re well positioned in what has been a tough time for the industry. We have the right people in place, the right plans in place and the cash needed in the bank to really move the needle for stockholders over the next few years. IBJ: OK, so you can sleep better when thinking about the organization these days. But you still face other challenges, such as macroeconomic or geopolitical issues. What sits at the top of your external worry list? MK: A strong greenback with a pretty weak economic climate in Asia and Europe really hits precious metals prices and demand, especially industrial demand for silver. These are real headwinds that impact our business. IBJ: Do you get frustrated by stuff that is beyond your control? MK: Well, I know we’re in a cyclical commodity business, but it can be very frustrating not having control over the price we charge for our product. That makes planning and budgeting difficult. IBJ: So how do you deal with it? MK: By focusing on the initiatives that we can control and that make good sense in any price environment, such as the transitions that we’re undertaking at each of our mines. Focusing on those things is productive whether an ounce of silver is $40 or $10 or gold is at $1,900 or down around $1,000. The best way to manage the unknown is staying committed to your strategy, making sure that you see it through. IBJ: I noticed you put a $1,000 bottom on gold. That seems to be a common thing for mining executives. MK: I guess we’re all too afraid to say anything lower. IBJ: But as we’ve seen with oil, gold prices could further collapse. Or Europe could implode and spark another financial crisis. Doesn’t worrying about another global financial crisis or a pandemic or some black swan event ever keep you up at night? MK: Throw in more Middle East turmoil or a major war. I don’t want to sound like a doomsayer, but I am not a hopeless optimist. The world does not stay static. There is a great deal of instability out there and the global economy remains highly leveraged. Those problems all come home to roost at some point. So bad things will happen, including some things that can actually be good for gold. You just can’t know what’s coming or when, so there is no point worrying about dealing with the bad until it’s necessary. It is better to focus on being prepared. IBJ: How has your management style evolved since starting this whole process as CEO? MK: I was a pretty hands-on guy for most of my pre-CEO career, and I am trying to be more of a collaborative leader. Letting others stand out doesn’t come naturally, but then I experienced the good fortune of importing talented people to surround me while restructuring the organization. I want to leverage this talent by standing back and letting the collection of seasoned professionals around me do what they’re capable of doing. Ultimately, that’s how a business succeeds so long as the leader is there to act as a facilitator, help connect dots, set a direction and bring people together to make sure that everybody is on the same page. But I sometimes still have to catch myself and not think about being the guy in charge, and further embrace collaboration. IBJ: What else about your personality have you tried to adjust as CEO? MK: I’d say conflict aversion. For any team to excel, you have to have conflicts, but you have to have the right kind of constructive conflicts that focus on the problem involved, not the people. Trying to strike the right balance of being comfortable with conflict and managing a team in a way that facilitates conflicts — the right kind of conflict, not the destructive kind — has been a challenge. IBJ: How do you remain focused when things go sideways? MK: Leverage the team. The sooner you get everybody required in the same room and up to speed, the sooner you can set priorities and start to triage, making sure other people are accountable for what might have been your plan for that day or that week or that month. Then you can focus on whatever the dilemma of the day is and adapt. That said, you have to go into a forced calm mode, showing conviction and confidence while knowing, too, that you’re on stage. People always look to leaders for a cue on how they should feel or respond or react, and so maintaining a level of poise is important. With numerous dilemmas under my belt, I can tell you that you can develop a bit of an auto-pilot function with the right people on your team who are comfortable with what their roles need to be during a crisis. But you have to always see diversions as diversions. You can’t lose sight of where you’re trying to go over the longer term. You can’t lose your focus point on the horizon. IBJ: What was the worst decision you made as CFO? MK: In early 2009, the company was trying to build three mines simultaneously. This was on the heels of the 2008 market meltdown. Capital had dried up. 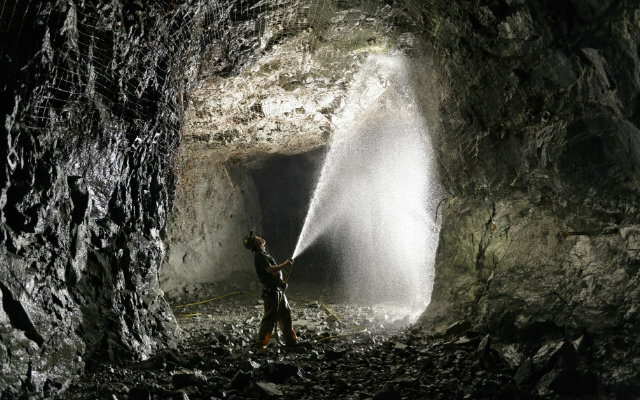 Our cash flow from other mines had dried up due to lower prices. We had to either pull the plug on construction projects that were in midstream or find so-called alternative sources of capital, which always means, to me, expensive forms of capital. We ended up raising some money that allowed us to complete some of the construction, but it left the company with a huge obligation that we are still dealing with to this day. The lesson I learned from that experience is to never start building anything in the mining industry until you know exactly where the money is going to come from. I learned that assuming that certain things will stay constant can cause some real problems because things always change, and they usually change in the wrong direction. So it is important to always move ahead with solid financing in place to avoid problems. IBJ: What’s a typical start to your day? MK: I am a big proponent of preparation, and I like having a bit of a jump on everybody else, so I hit the office before everybody else. I’m typically out of bed at 5 am. Three days a week, I hit the gym before heading to my office. At my desk, I start getting myself lined up for whatever the day has in store by looking through sector news and overnight commodity market research. IBJ: How attached to smart devices are you? MK: Since I get up early, I go to bed early. But I don’t actually physically go offline until my eyes start to close and my head starts bobbing while reading something on my iPad. My phone is always next to my ear in bed because I’ve had the kind of calls in the middle of the night that make you scared of hearing your phone ring. So when I go to bed, I don’t ever lose sight of the fact that there is still somebody working through the night at our mines, whether it is in the U.S. or Mexico or South America, and they are working in a tough environment with significant equipment. IBJ: What was your first real job and what did it teach you? MK: Being from an agricultural area, I was out in the bean and cornfields at a pretty early age. I spent many hours looking at very flat ground and black dirt, which gives you a lot of time to develop imagination. In my case, it gave me a lot of time to dream big. I remember very clearly thinking that I didn’t want to be out in the fields my whole life. That taught me to plan for the future. I thought a lot about having a good work ethic and the value of education. IBJ: What was the most important thing that you learned in business school? MK: The value of good relationships. I spent probably more time working on relationships at school than I did on course work, which is another way of saying I had a lot of fun. It has been over 15 years since I graduated and I can’t describe the value of the network I developed. What I learned about relationship building at school I now use every day. Whether working on some financing or an acquisition, the relationship aspect is what ultimately is the most important. That’s the way the world works. IBJ: What’s the best piece of advice you have to offer someone new to a management role? MK: Be curious. Listen. Absorb. Then speak. Do it in that order. As soon as you open your mouth, you can’t go back. So if you want to influence people, you must make sure, before you speak, that you’ve really taken in all the offered input. That’s my advice. IBJ: Best advice you ever received? MK: The best advice I have received is simply to never give up. When you have persistence and learn to just stick to it, the odds of success jump. That’s not prophetic, but it is a recipe for improving performance and ultimately succeeding. IBJ: Thanks, Mitch. Next time we meet, hopefully we’ll be talking about $2,000 gold.